In the spiritual significance of numbers, 11 is considered a Master Number. The dynamics created by this trinity of 2/1/1 explode with potentialities, some of which many never dared to ponder. The traits associated with Master Number 11 in Numerology is instinct (namely, trust in them). The Number 11 personality is guided by that inner voice toward higher vibrational living. Unlike some very empathic numbers, however, the 11’s journey is not solitary. People find them naturally charismatic. Those who walk with the 11 cannot help but discover personal changes in the wake of that energy tide. If you have a feeling that something’s afoot but can’t quite figure it out – ask an 11. This Master Number always has a handle on the undercurrents of this world and the next. The best description I can think of for those with this Life Path Number is that they are human seismographs, picking up on small vibrations and putting them together into the bigger picture. This can be a little disconcerting to people unaccustomed to pinpoint accuracy on matters previously kept private. Well, an 11 hears them – and they let in those messages for inspiration and motivation. Throughout this incarnation, however, 11 must use that ability cautiously. It can frighten people and potentially hurt them. Information gathering is different than information sharing. Be judicious. As a child, the 11 has two very important sides. One dreams the dream; the other thinks deeply about those dreams and how to bring them into reality. These children will come up with uncanny insights. They may also have a propensity for talking with Angels and other Astral Beings. The parents of an 11 would do well to encourage them to talk about their ideas and experiences, and when old enough begin logging them. Such moments may take flight in reality later. 11s often find themselves naturally drawn to metaphysical studies in this incarnation, ever wanting to know more about personal skills but also about the inner workings of the Universe. The caution for the 11 is breathing through the vastness of it all. The spiritual world is a mulit-verse that can overwhelm. Take it slow, using the straight focus of the 1 to guide you. Depending on how you look at it, 11 can have all the same symbolism as 2 (1+1) or as two ones standing side by side. The number 2 offers 11 a gentler touch – compassion, intuitiveness and a strong connection with the Goddess. Two ones standing together side by side create a formidable force as bridge keepers and caregivers to other realms. However, on occasion the three numbers working in tandem may cause 11 confusion akin to a push-me, pull-you. It’s sometimes hard to know which way to go first. Lightworkers tell us that people walking with the mystic Number 11 need focus and set firm goals be they metaphysical or mundane. There is a ton of personal power here waiting for direction, but if 11 becomes a house divided its ability crumbles into fearfulness and immobility. When the all the elements of 11 work cooperatively, however, be ready for nothing less than a major spiritual workout. 11 symbolizes faith, and around the world it represents gifted souls from prophets and preachers to sensitives and psychics. The numerology meanings of 11 tell us this Master Number also represents justice, objectivity, a quick wit, decisiveness and duty. As a Master Number when the 11 does not reach their full potential all the positive aspects turn into negatives – cold, calculating demeanor, ruthlessness and harsh insensitivity being only three examples. This is why people working with the energy of Master Numbers must be mindful and walk with the Light. Destiny is a tricky figure in 11’s life. 11 already lives outside the normal boundaries of reality, making them appear eccentric. All that heavy thinking and rumination shows on your face – people cannot help wondering what’s behind the mask. It’s also not always easy for an 11 to qualify those ideas. Spiritual illumination is not a concrete matter where you cross the T and dot the I and make it all tidy. What this means is that the 11 walks with some odd characters, and may not know exactly where this whole troupe will end up, but it’s inevitably going to be interesting. 11s may become moody if they don’t get enough input. This is a danger zone for 11. If they allow depression and anxiety into their matrix they de-evolve into a 2 and have to start all over again. On the other hand, when Destiny Number 11 uses his or her gifts wisely everyone nearby knows it. The light show is pretty wonderful, starting in the aura then becoming a dance with all the life force in the area. This is a moment that no one forgets, but it cannot last long or the 11 burns out. If the Number 11 personality can add humor and adventure into their game plan, it will help them balance all these spinning vibrations and maintain symmetry in their mundane life. The 11’s soul is that of a spiritual teacher, healer or leader ever seeking those elusive truths. Mastering your path is never easy, but few things of worth come without some challenge and sacrifice. Some people vibrating with an 11 Soul Number create their own esoterica, gathering the underlying universal teachings from around the world. Once those strands come together, then the message begins. 11 knows that we are all Divine in some way. They strive to facilitate that awareness in others while also bringing messages from the Realms into the Earth Plane. Man of these teachings focus on harmony and restoring peace between people. 11s feel very uncomfortable around discord. Wherever tragedy arises, 11 will follow offering comfort with a side of spiritual consciousness. You never know exactly what you might happen upon in the home of an 11 who are known for avant-garde tastes. One would suspect a meditative space, or a carefully laid out Feng Shui design. The house will be tidy, but may reflect all the various Paths that influenced this seeker along the way. The life of an 11 tends toward consistency and routine. That framework gives you comfort. In terms of partners the 11 must trust their instincts to find that perfect soul mate who understand how much is going on inside your mind and allows you to run with it. Because people with the mystic number 11 tend toward self-criticism they may choose against parenting, thinking that they would fail. If, however, the 11 gives them self some credit, and teaches a child the intuitiveness of the 11, it would be a great gift to the new souls arriving in this plane. No matter how the 11 pays the proverbial rent, spirituality is going to play a role somewhere in his or her life. They may write about religious philosophy, design religious decorations, create beautiful songs of faith, become a Tarot card reader … even perhaps start their own spiritualist church. The trick with 11 is whatever they do has to somehow reflect their ethics and the bigger picture, which is why they work well on disaster relief teams, for example. It may take the 11 some years before hitting on the perfect combination of the metaphysical and mundane, but when they do – it’s a joy that supports all positive aspects of the 11s vibrational force. In Tarot Card Meanings and symbolism the Master Number 11 is associated with The Justice Card in the Major Arcana. The classic Rider Waite Tarot Card depiction of this crowned man atop a throne with the scales of balance in one hand and the sword of accountability and illumination in the other is a very potent image that symbolizes our ultimate ethics, morality to whom we pledge fealty and how we resolve our arguments. People working with the metaphysical Number 11 have a strong drive for equity. They choose their battles carefully and give trust only when earned. There is also an underlying sense of the natural order of the world in Justice, an order that when disrupted cause dire consequences. This is very true of the 11 personality. They must follow Universal order, law and patterns to fulfill their soul’s ultimate quest. awsome! really well written. ive read many interpretations of this number 11, over the years, this was the best. Thank you so much for the kind words! They are very much appreciated! U exactly described the beauty of 11… Im too havivg 11 n find the same character in me. Hi, I’m a number 11 with expression 17/8. My spirit can be described as that of the Wolf influenced by the high priestess. I’m also a sun gemini, so I can be at times stuck in the clouds. I was brought to do something important (turbulent times are ahead), how does one balance a powerful ego and ones higher ideals, I need to find the right mixture of both. Well, given that your parents named you Alexander, I’m going with – it’s gonna be difficult to balance your ego with higher ideals (humility/spiritual ascension). See, your name’s etymology is that of an emperor. But, your sacred number is that of a ‘master ascending’. However, you are Gemini (can never make up your mind). So, I think you will have to remind yourself on a daily basis to work from your soul center rather than ego. The older you get the easier it should get though so keep working at it! You’ll do great! A healthy ego is one what stands equal in respect with soul, right under guidance of spiritual order. @ 50 is a 11 01 1967 with a partner born on 12 01 1967. I certainly do feel my soul mate there despite the differences. Let me know if you have any feedback on us. To better understand how you and your mate might relate, take some time and read all about the Zodiac Compatibility between your Zodiac Signs. Well, I have never met a Virgo who was entirely happy with their life. Each Zodiac Sign has some quirk to battle during their life and, for Virgos, it’s that nothing and nobody is ever ‘perfect’ – or ‘good enough’ for them. 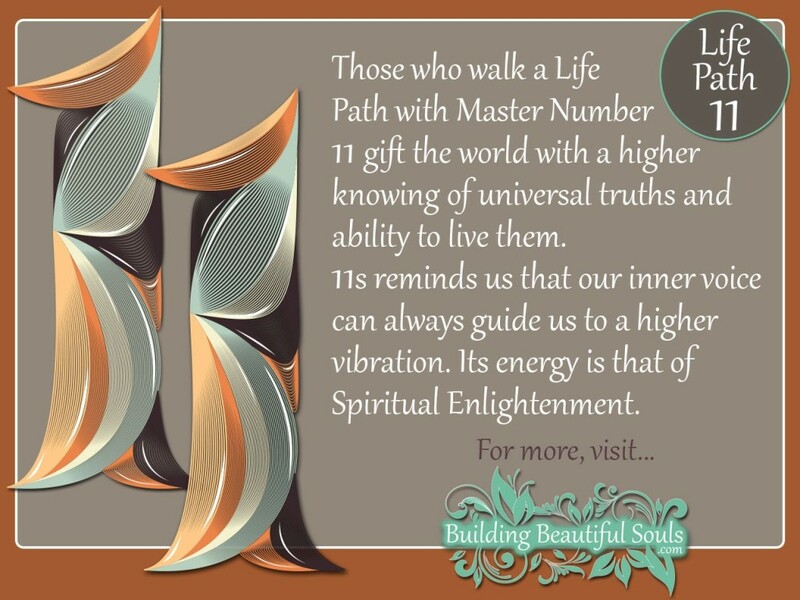 As a Master Number 11, you undoubtedly see all the flaws in this world – because 11’s are sage masters. So, now you’ve got an issue where you ‘see’ imperfections the rest of us do not see and, as a Virgo, that makes you unhappy. I would say that you set up a challenge for yourself in this lifetime! As you move ahead, the secret to happiness is to take a step back each and every time you feel dissatisfied and focus on what IS going well. Shift your attention to the beauty in this world, in others, and yourself. Over time, this will override the Virgo tendency to see the glass as half-empty. Soon, you’ll always see the glass as half-full! I find myself eliminating family and friends for the last 4yrs. This was so accurate. It isn’t always easy to see your path clearly as an 11, I found this super helpful! Thank you! I am an 11. 10.15.1966. I resonate completly with the explaination of this number. I also fall into some of the negative attributes. A few years ago i fell into panic disorders and terrible anxiety. I have fought through this and am doing much better. I wish i would have know about this info sooner.. Im 50 now. I feel like im at a crossroads right now. I know i need to tap into my creative desires. I have held back mainly because i have been bogged down with working and trying to support others.People who know me say they have no idea how they would make it without my advice. It comes very easy for me. Thanks for your explanation and this is going to help me to come into a more mature part of my life. I am a life path 11. I am not sure if this is true or not, but after reading the interpretations i do feel it is somewhat true. I am a very anxious person and also have a phobia. Some where i am scared of what people think of me. I have been dignosed with social anxiety disorder. Also, during the last two years I have also been experiencing various synchronicities. I am not sure if this is because of my thoughts or its really there. But initially it made me think hard about what was going on. I still do not have an answer to all those events. But just going with the flow. Wow I’m astonished how much this explains me. I literally cried because it felt like someone was writing about my life and explaining my own feelings to me! What a great interpretation of an 11!